Sometime in the early ’80s, Steve O’Neill's prog rock band, Atlantis, played Eldorado High School. Besides O’Neill masterfully modulating keys, the band featured future members of Sassy Jones. Most students really dug it, but at least a few left to catch the bus to the university; later, those folks drifted Downtown to hear a local punk rock band called Jerry’s Kidz play an abandoned garage. What happened in Burque during the ’80s was complicated; groups like Atlantis were prodigiously talented, but some kids just weren’t buying it anymore. While brilliant pop bands like The Muttz and The Phillisteens made their mark in a deteriorating club culture, an independent spirit filled the UNM campus area, buoyed by a wide-ranging community that sought and found an alternative to what had been. This new model army of artists and musicians clambering over fortress walls were catalysts. Their influence continues to have an effect on today’s scene, from its DIY tone to its proclivity for cross-pollination. Manny Rettinger and Gene Hill weren’t totally responsible for the direction rock took at home in the ’80s. But they poured plenty of gasoline on the smoldering remnants of the ’70s—enough to kindle a fire hot enough to burn through town phoenix-like, wickedly regenerative in nature. After high school both Rettinger and Hill ended up at the state’s flagship university. 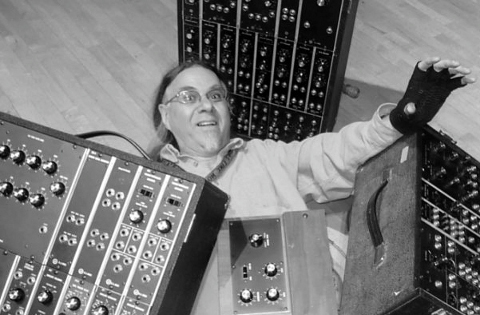 Working separately with a group that would become a homegrown musical giant, Rettinger had a profound gift for bringing divergent sonic vehicles together, while Hill was a genius at anticipating and promoting cutting-edge sounds, both local and national. Rettinger played in freeform group Martian Funk Ensemble. The ensemble included a bassist named Carl Petersen (who is now the publisher of the Alibi). Petersen’s friends and KUNM volunteers Tim Schellenbaum and Robert Masterson were involved with an experimental outfit called Bill’s Friends. What happened in Burque during the ’80s was complicated; groups like Atlantis were prodigiously talented, but some kids just weren’t buying it anymore. Masterson recalls there was a “real crackling in the air” in 1980, as artists and musicians came together explosively in alternative spaces as a result of promoter Joe Bufalino’s controlling influence on Burque. As notice of this new rock and roll praxis grew, forces combined and evolved. Painter Ray Abeyta contributed massively to the growing community, bridging the gap between artists, musicians, actors and poets with aplomb. The result was Animal Opera, a band built on a plethora of talented players including future members of Splinter Fish (Deb Orlovsky and Ernesto “Zoom” Crespin) and the Ant Farmers. Ultimately, Rettinger realized the need to document the blossoming scene and founded UBIK Sound, adding a crucial component to the burgeoning milieu. Rettinger’s history here is legendary. He oversaw initial recordings by the Ant Farmers and seminal Burque punk rockers Cracks in the Sidewalk. Cracks featured theatre artist Judson Frondorf on vocals, Jez Velasquez on bass, tat-master Chris Partain on drums and Jerry’s Kidz veteran Gordy Andersen—of present-day metal gods Black Maria—playing guitar; their eponymous 1986 UBIK recording remains an essential example of excellent homegrown rock. Meanwhile, Hill played in The Visitors with local hellraiser Steve Sullivan while Zoom handled drums, also fronting Fake ID with Stephen Bahr. As director of the UNM Popular Entertainment Committee, Hill developed working relationships with a veritable tribe of searchers. The PEC included up-and-comers like the Sparks brothers (Darrell and Brett), guitarists Robby Poore and Chuck Hawley (Splinter Fish) and keyboardist Rodger Griffiths. 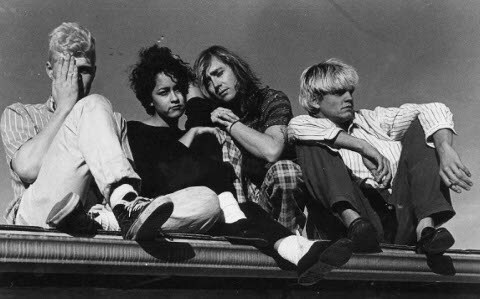 Hill and his committee embraced this changing of the guard, bringing influential new acts like Ramones and R.E.M. to the SUB. 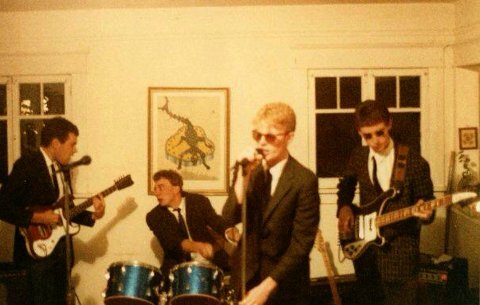 Crawling Walls, a psych-rock band that Petersen also played in, opened for Ramones at the dimly lit basement hangout Subway Station in 1984. Together and on their own, UNM PEC members like Brett and Darrell Sparks and Robby Poore brought a sense of musicality to the scene, first with The Gargantuans and later with bands like Pawn Drive and The Handsome Family. 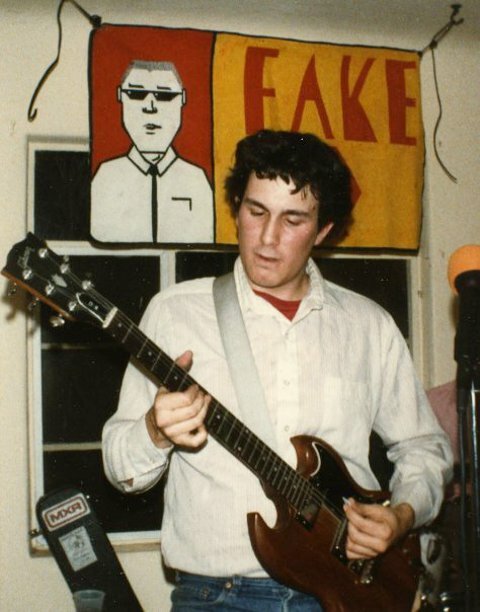 Poore, whose childhood babysitter happened to be Robert Masterson—“I used to listen to his parent’s copy of Live at Leeds after he fell asleep”—was involved as lighting wizard for local pop-psych superstar The Strawberry Zotz, and later, briefly, with The Drags, a garage-punk group that rose to prominence in the early '90s. 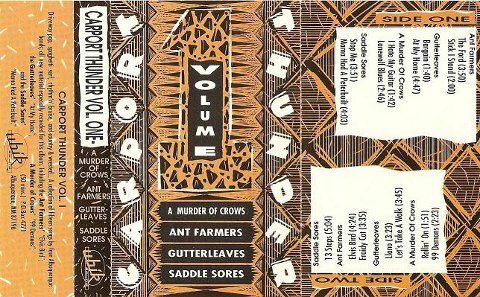 This group of youthful visionaries inclusively supported the scene's growth; even jam bands with hippie flair and Americana style like Cabin Lance’s Illegal Aliens, Splinter Fish and soon-to-be-legendary A Murder of Crows came along for the ride. The latter two bands grew out of Lance’s F.O.R. project and included Cabin Lance, Junius Kerr, Deb Orlovsky, Ted Jurney, Clara Gardella, Danny Enright and Jim Schwar. Caleb Miles, Junius Kerr and Clara Gardella were the original lineup of A Murder of Crows. Equally influenced by The Velvet Underground and Grateful Dead, A Murder of Crows played rock and roll that was undeniably danceable yet centered on the warp speed intensity of Crows’ musicianship. Along with Chris Dracup’s The Muttz, A Murder of Crows was “instrumental in breaking into the bar scene via campus watering hole Fat Chance,” says Miles. Rootsy bands like The Broadway Elks, Thunderama and The Breakers were also gaining ground with local listeners and even scored gigs at El Madrid Lounge, a joint previously dominated by the more traditional sounds of Al Hurricane. A counter-current to these trends took shape in the UNM Music Department. There, students took up the rock banner. Skumbaag, an eclectic, experimental outfit with Zappa-esque overtones consisted of multi-instrumentalists John Bartlit, Doug Nottingham, Hovey Corbin, Daniel Ward and Steve McClellan. An all-woman power trio, Nervous, also drew on classically trained undergrads for its inspiration and implementation. As a result of these mutual influences and underlying connections, the last years of the '80s amounted to a gloriously dynamic scene. There were so many bands jamming out that it’s impossible to mention them all here. But if names like Saddlesores, Korphu and 27 Devils Joking ring a bell, it’s with the realization the scene began bifurcating with random precision as the '90s approached. Drummer Keith Herrera moved to Albuquerque around 1988. One day while driving through the Student Ghetto, he noticed a lanky fellow wearing a Mudhoney t-shirt walking the other way. So he stopped and had his first conversation with Alan Deem. Within a matter of hours, as the '90s crept closer with each passing minute, Resin Records was born. In 1989, the Ant Farmers—Bill Mudd, Jon Little, Darrell Sparks and Petersen—recorded Trailer Park Music on UBIK, a recording that would land them at 1990’s SXSW festival. A few blocks away, punk impresario Joey Abbin opened the Atomic Theater, and Burque’s rock scene turned yet another corner in anticipation of the future. Editor's note: Keep your eyes peeled for concluding installments of “A History of Rock in Burque” in the coming weeks.